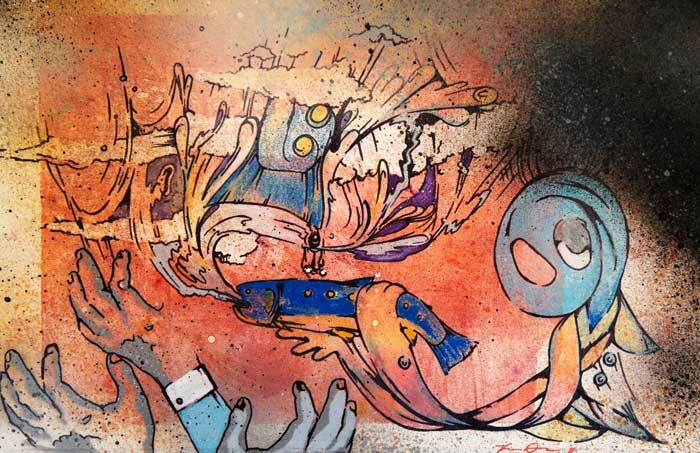 Josh DeSmit embraces a unique mix of city and country in his one-of-a-kind, mixed media prints. 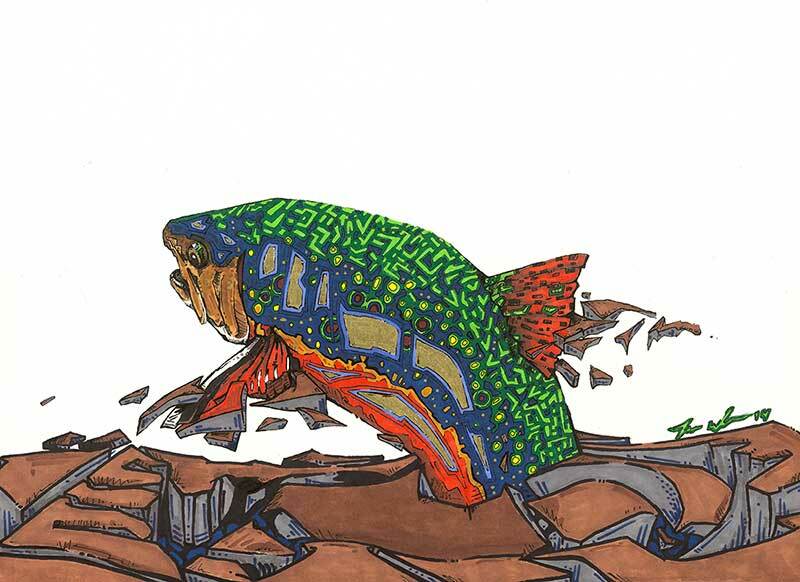 By drawing influences from his hometown of Minneapolis and his getaway, Michigan’s Upper Peninsula, Josh creates energetic and eclectic works that reflect personal experience and artistic process. 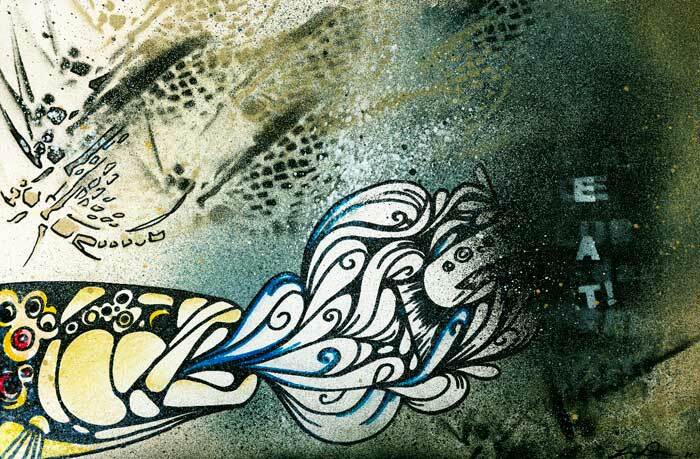 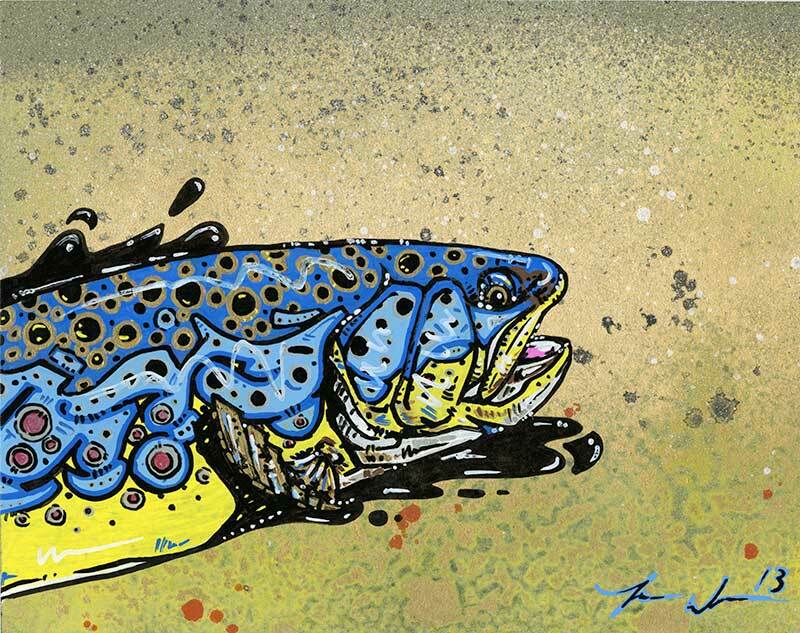 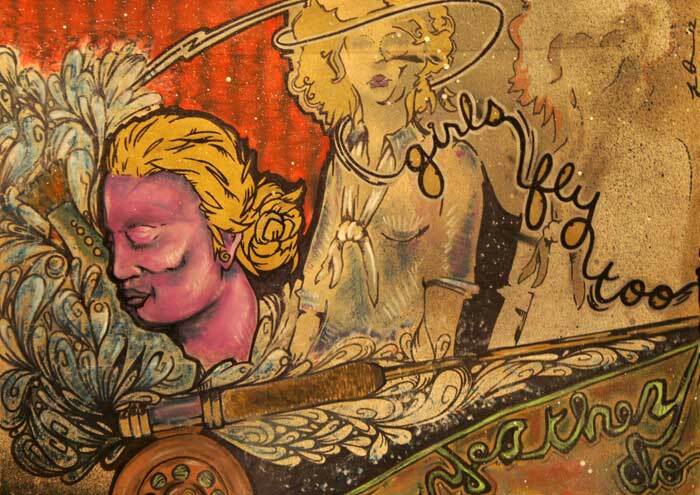 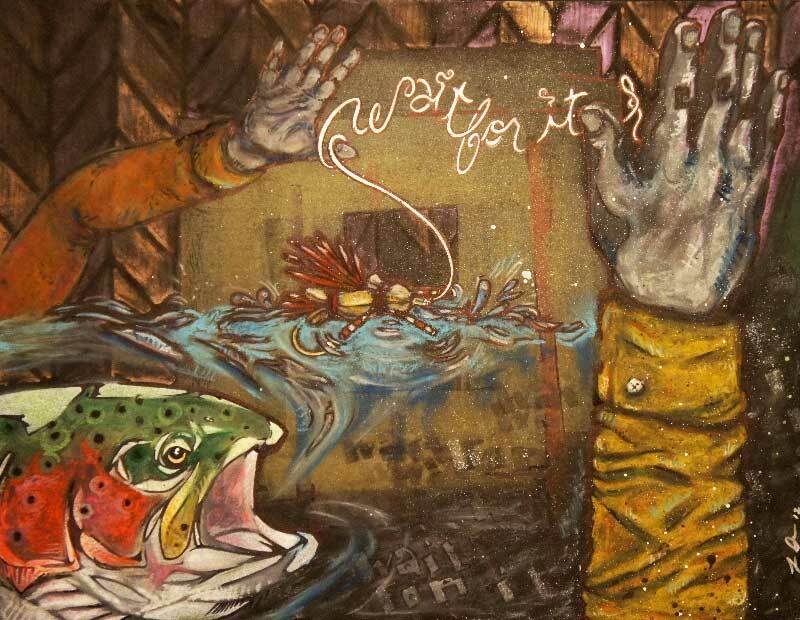 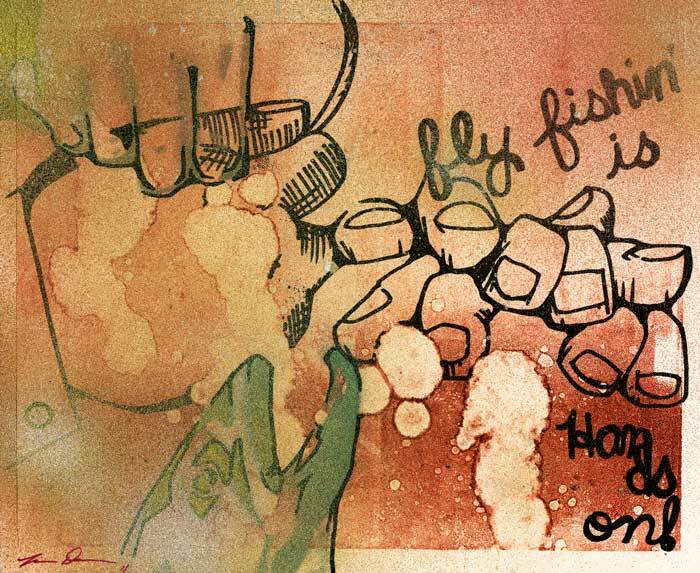 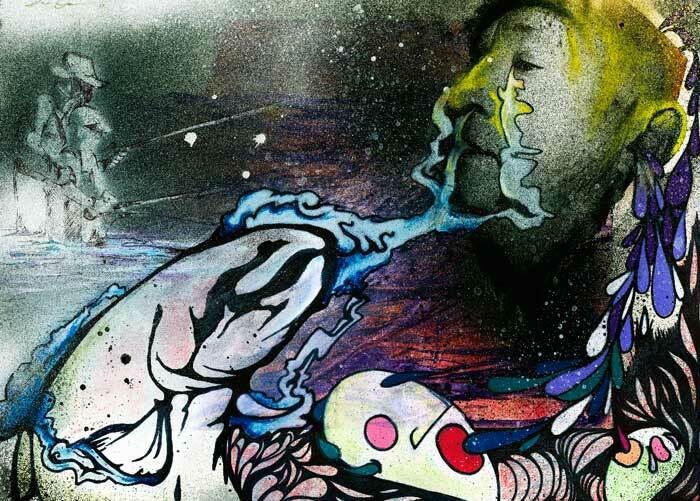 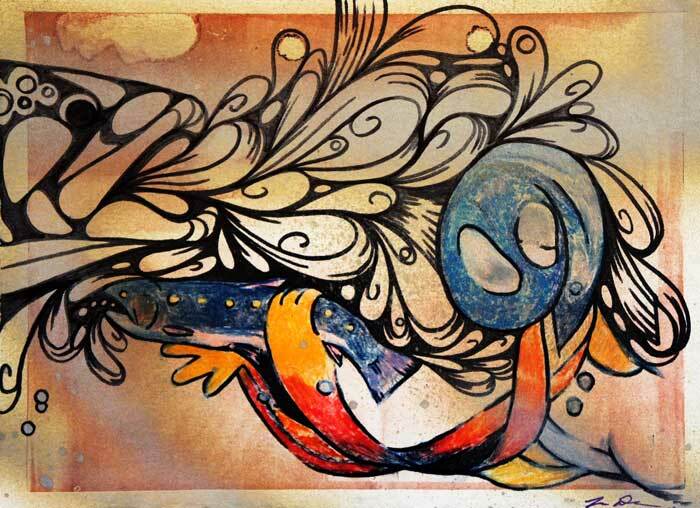 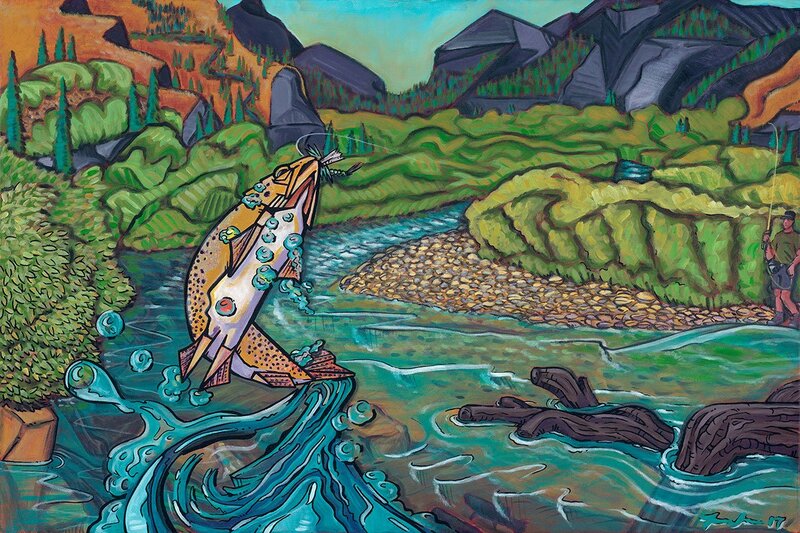 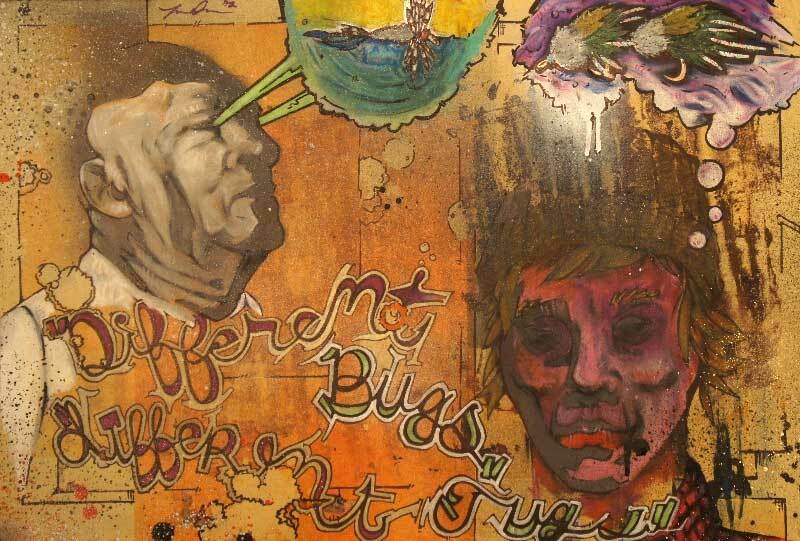 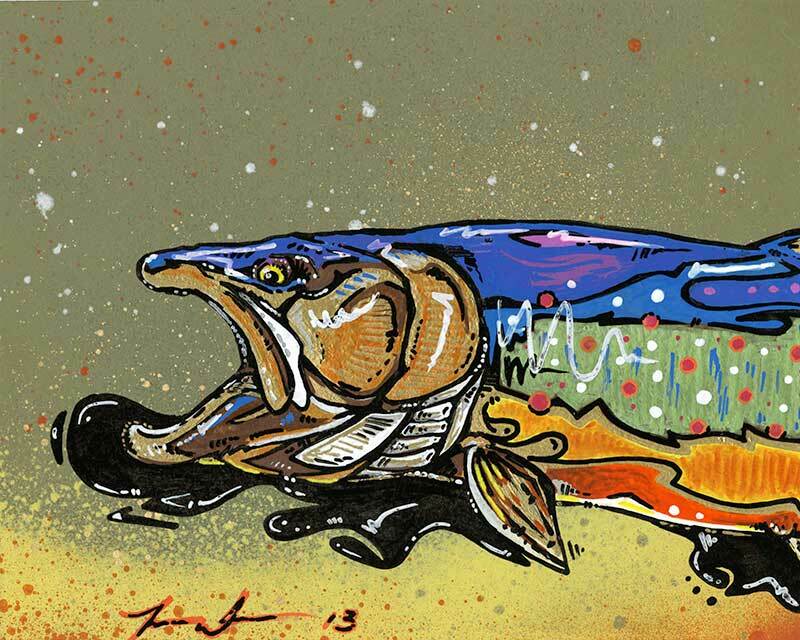 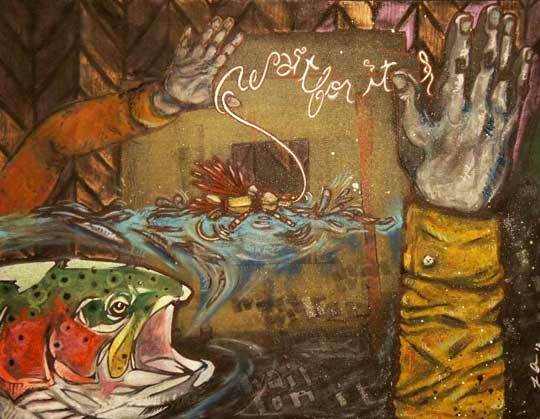 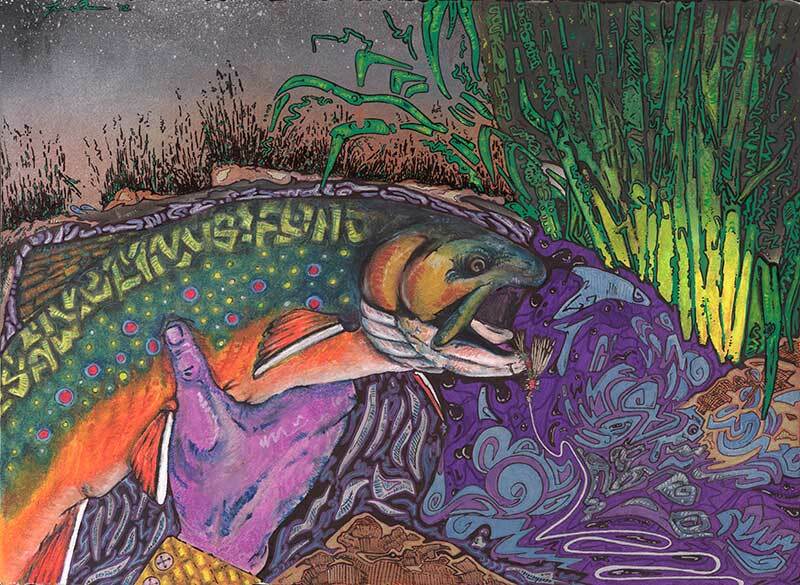 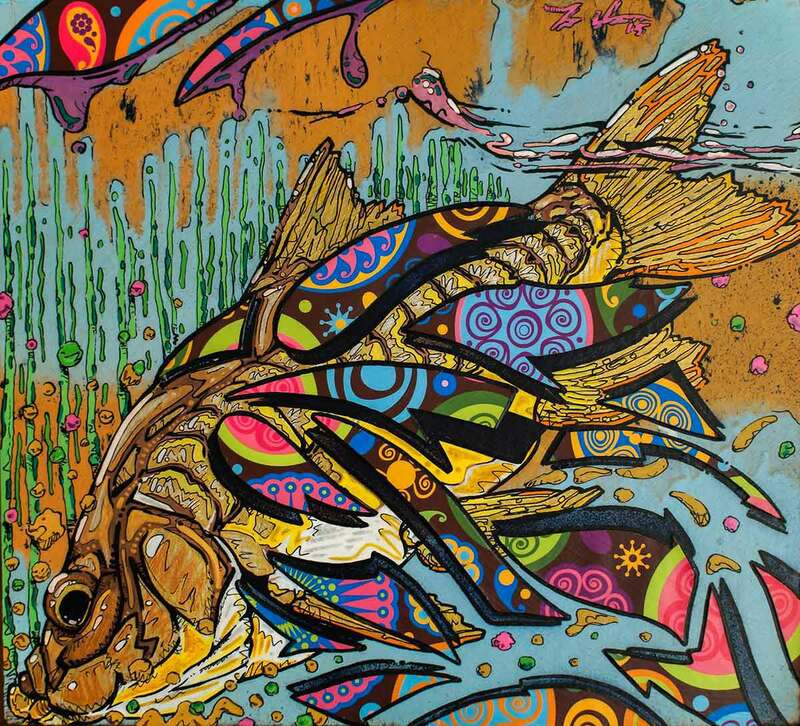 His interests in graffiti and street art, joined with his art degree from Lawrence University, have helped him to explore different combinations of media and a different way to express fly fishing’s avenues. 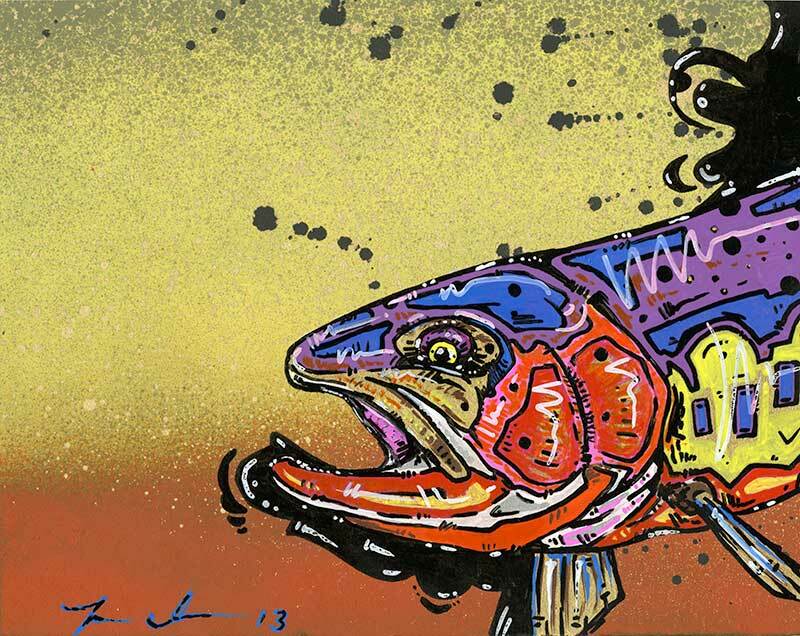 For more information on Josh DeSmit please visit his website or his @joshdesmitart on Instagram.